Windows PC owners will soon have three virtual reality platforms to choose from. Here's how they compare, compete, and overlap. The HTC Vive and Oculus Rift are already here, but the battle for the best PC virtual reality headset will get more complicated on October 17, when Microsoft and its partners launch Windows Mixed Reality headsets as part of the Windows 10 Fall Creators Update. 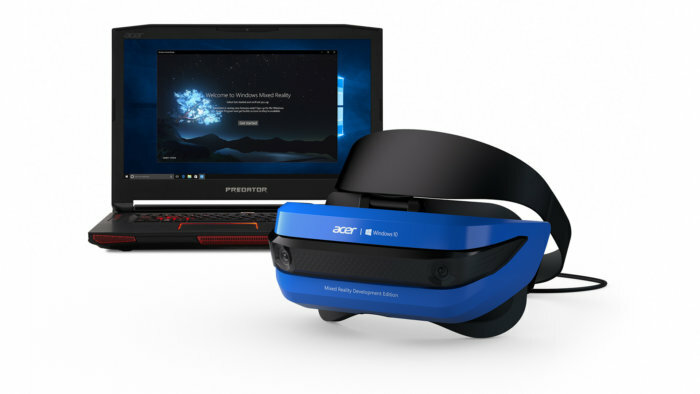 Windows Mixed Reality will represent yet another virtual reality platform running on headsets connected to a PC. The software will have plenty of overlap with those existing solutions, the hardware will be of similar heft, and the overarching concept will still involve playing around in room-scale, virtual worlds. But just as the Vive and Oculus Rift had their share of technical and philosophical differences, Windows Mixed Reality will diverge from its competitors in several key ways. 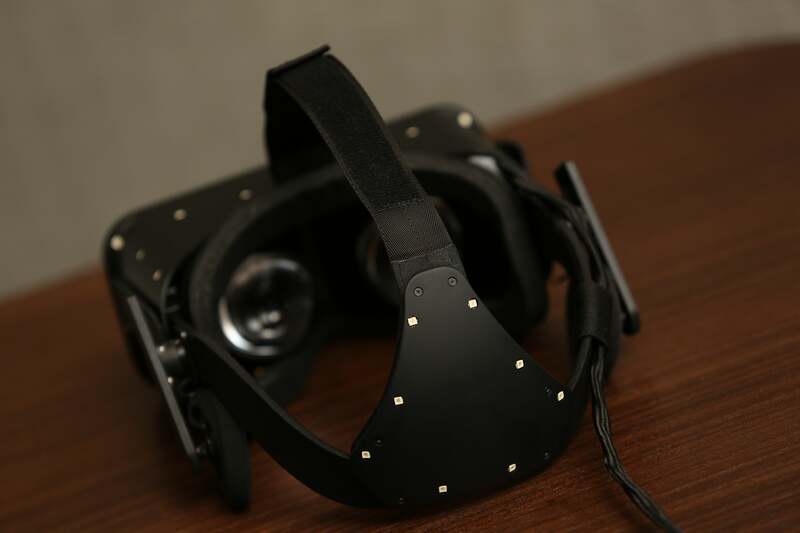 The hardware requirements are lower, the ecosystem will include some exclusive content that can’t be accessed via Vive or Oculus, and the name of the platform itself hints at broader augmented reality applications, not just immersive getaways. 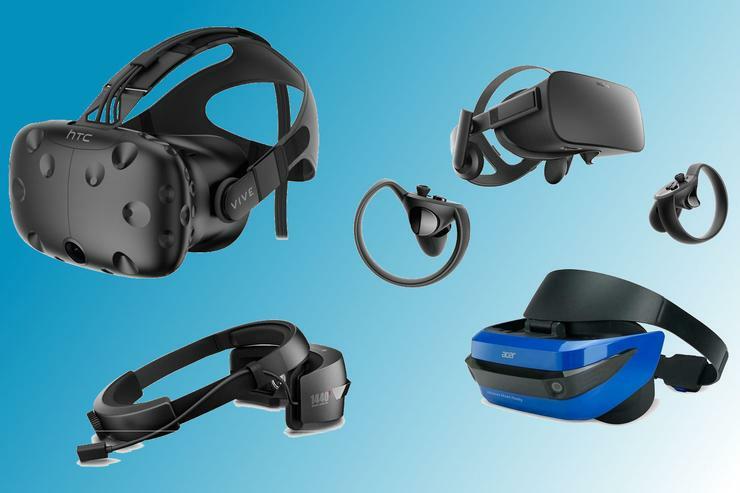 Here is our attempt at explaining all those similarities and differences between the HTC Vive, Oculus Rift, and Windows Mixed Reality headsets in the least confusing way possible. For $499, the Oculus Rift + Touch bundle includes the headset, a pair of hand-tracking controllers, and a pair of desktop IR LED-tracking sensors. This creates a tracking area of five feet wide by five feet deep. For an extra $59, Oculus sells a third sensor that expands the tracking area to eight feet by eight feet when placed at the rear of a room. The Rift also includes integrated headphones, which is a nice touch. For $599, the HTC Vive includes a headset, a pair of hand-tracking controllers, and a pair of wireless base stations. But instead of sitting on a desk like the Rift’s sensors, the base stations should reside in opposite corners of the room, creating a large play area of up to 15 feet by 15 feet. Unfortunately, the Vive doesn’t have integrated headphones, but you can add them for $100 with the Deluxe Audio Strap if you’re feeling extra spendy (or simply don’t want to buy a separate gaming headset). 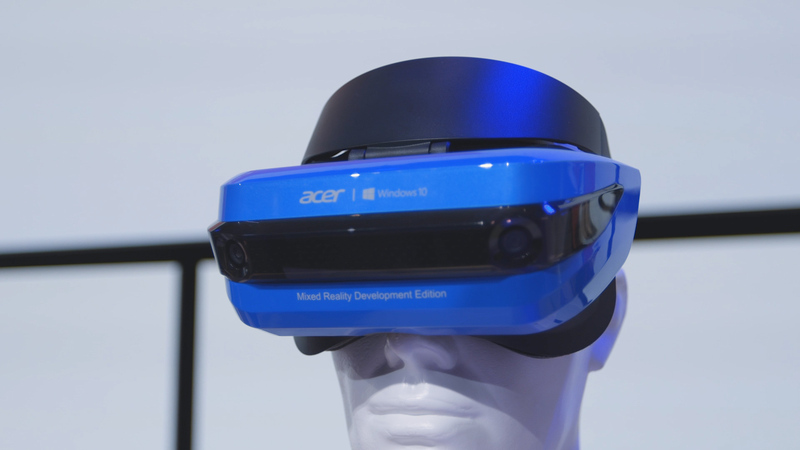 With Windows Mixed Reality, pricing varies by vendor. Acer plans to sell a headset for $299, and a set of controllers for an extra $100. HP currently sells a “Developer Edition” headset for $329. Dell’s slick-looking headset costs $349, plus an extra $100 for controllers. Asus will sell a $535 headset next spring, according to The Verge. 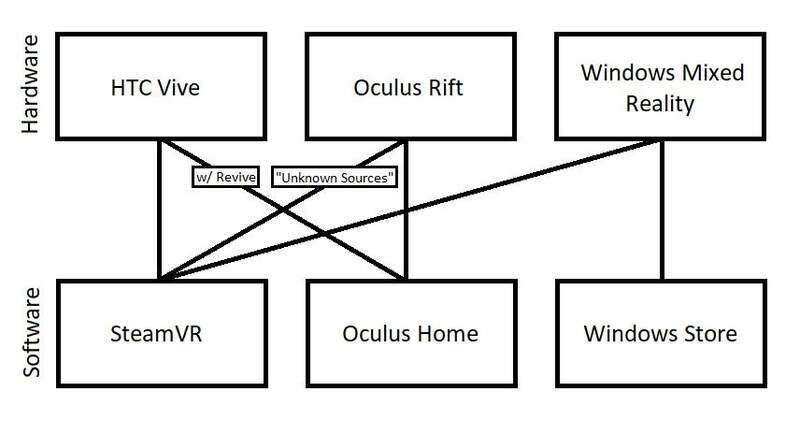 But unlike the Vive and Rift, none of these Windows Mixed Reality headsets will include tracking stations. Instead, Microsoft’s system uses a camera on the headset to keep track of where the controllers are. This may help keep costs down and make setup less burdensome, and in theory it allows for more spacious simulations, but it brings a major trade-off: Grabbing objects without looking at them becomes almost impossible. Also, no Windows Mixed Reality systems have integrated headphones. This older Oculus Rift "Crescent Bay" prototype shows the VR headset's sensors and internal lenses. For resolution, the Vive and the Rift offer 1080x1200 per eye, while the Windows Mixed Reality headsets announced so far are crisper at 1440x1440 per eye. Higher resolutions mean you're less likely to notice the individual pixels in an image—a key concern when the displays are so close to your face. The field of view on the Oculus Rift and the HTC Vive is about 110 degrees, and it’ll vary from headset to headset with Windows Mixed Reality. HP and Acer both list a 95-degree field of view, while Dell’s Visor hits 110 degrees according to this product page. Also worth noting: Both the Oculus Rift and HTC Vive use OLED displays, while the current crop of Windows Mixed Reality headsets use LCD technology, which can be more susceptible to motion blur. For the Vive, HTC recommends at least an Intel Core i5-4590 or AMD FX 8350 processor, an Nvidia GeForce GTX 1060 or AMD Radeon RX 480 graphics card, 4GB of RAM, one USB 2.0 port, and either an HDMI 1.4 port or a DisplayPort 1.2 port. All AMD Ryzen 3, 5, and 7 processors work just fine. Oculus’ minimum PC specs are a bit less stringent on the processor side thanks to the company's Asynchronous Spacewarp technology. 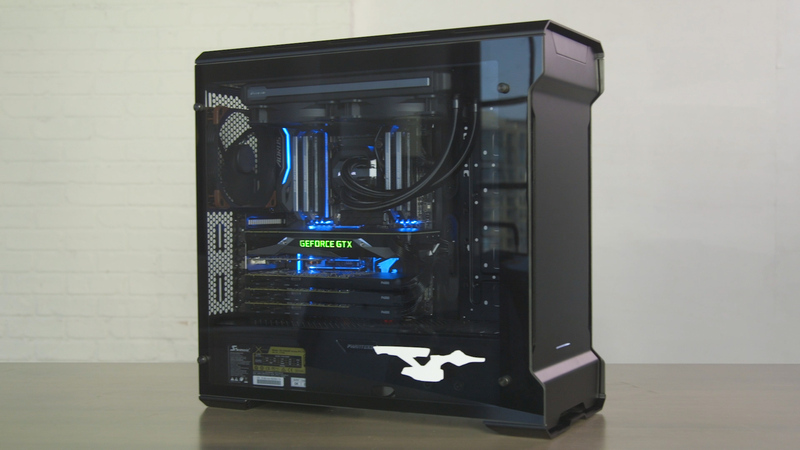 The Rift requires at least an Intel i3-6100, AMD Ryzen 3 1200, or FX-4350 for the CPU, and at least an Nvidia GTX 1050 Ti or AMD Radeon RX 470 for the GPU. In other areas, it’s a bit more demanding, requiring 8GB of RAM, a USB 3.0 port, and two USB 2.0 ports. Video output must be HDMI 1.3 or higher. Note that those are the minimum requirements. The more CPU and GPU firepower you can throw at PC-based VR, the better your experience will be. Investing in a more powerful graphics card is particularly enticing because games only get more graphically demanding as time goes on. 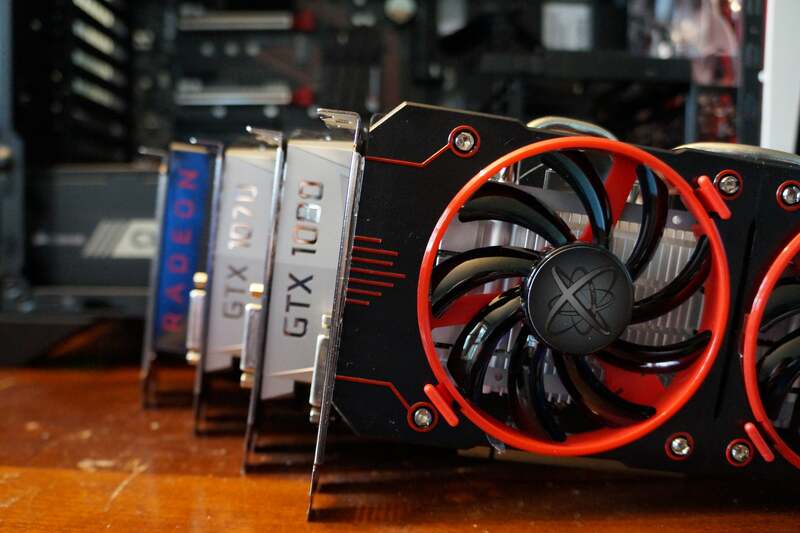 PCWorld's guide to the best graphics cards can help you explore your options if you decide to go beyond the minimum PC VR requirements. The situation with Windows Mixed Reality is trickier, as Microsoft's platform is split into two variants. Meanwhile, the “Ultra” version of Windows Mixed Reality offers the same 90Hz framerate as HTC Vive and Oculus Rift, and has similar requirements: Intel Core i5-4590 or AMD Ryzen 5 1400, Nvidia GTX 960/1050 or AMD RX 460, and HDMI 2.0 or DisplayPort 1.2. Both versions require 8GB of DDR3 RAM and a USB 3.0 port (either Type-A or Type-C). As for software requirements, Windows Mixed Reality is tied exclusively to Windows 10. 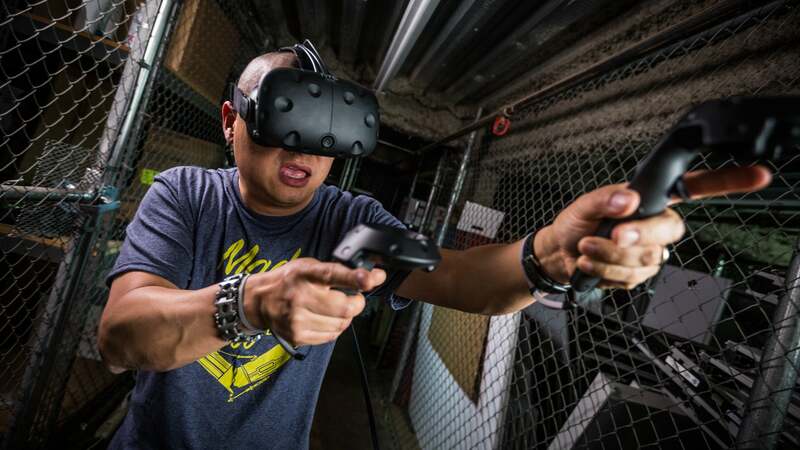 HTC Vive still works on Windows 7 or higher, while Oculus Rift runs on Windows 8.1 or higher. All of these VR speeds, feeds, and specs are academic without software, of course. 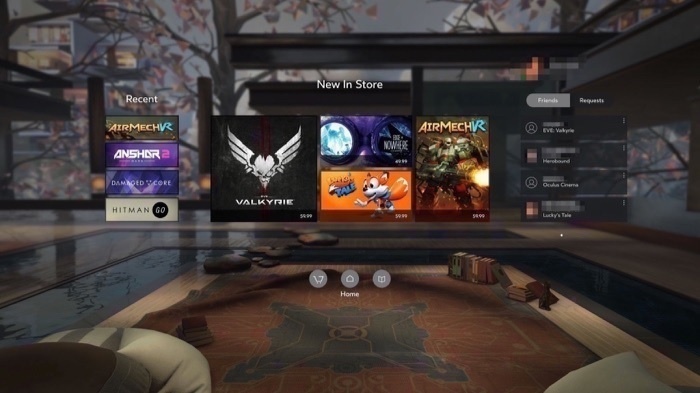 And at least officially, the software situation is straightforward: The HTC Vive works with Valve’s SteamVR platform, Oculus Rift uses the Oculus Home storefront, and Windows Mixed Reality will get content from Windows 10's Windows Store. As for Windows Mixed Reality, the headsets will support SteamVR, but probably not at launch. However, Microsoft has suggested that software exclusives from the Windows Store won’t flow the other way onto Vive and Rift headsets. So if you want to sample the Halo VR experience that 343 Industries is working on, you’ll need a proper Windows Mixed Reality headset. 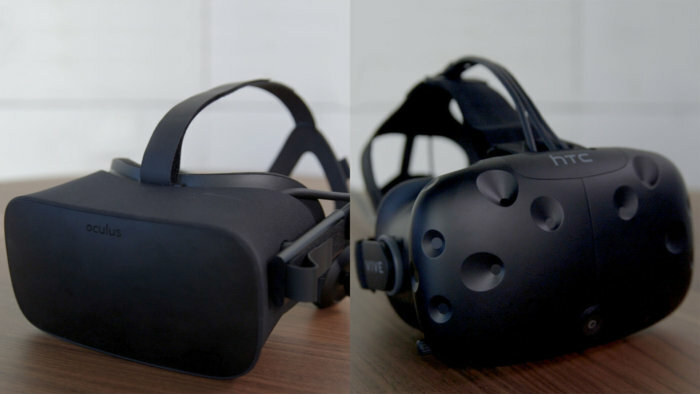 Vive vs Oculus vs Windows Mixed Reality: What else? The name hints at a platform not just for virtual reality, but for augmented reality that maps holographic images onto the real world. Microsoft has said it wants to allow for such applications in the future, but it’s unclear when that will happen and whether the first wave of Mixed Reality headsets will be capable of AR. Buying any of these headsets with the expectation of more than VR would be unwise. For that matter, this blow-by-blow comparison isn’t the same as a proper review of each headset. Read our full reviews of the HTC Vive and Oculus Rift to see what using one of these headsets is like—spoiler: we prefer the Vive's fully room-scale experience—and check back for more coverage of Windows Mixed Reality once the hardware becomes available October 17.